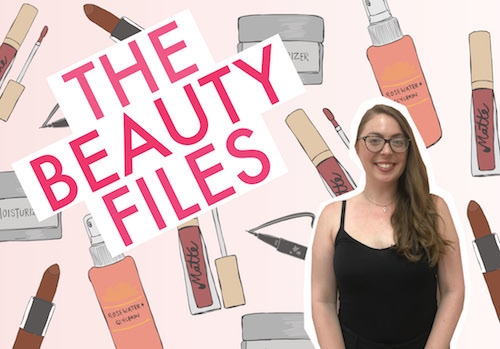 We’re starting a new series called The Beauty Files, where HelloGiggles editors and contributors share what exactly they put on their faces, and why. We want to take you on this voyeuristic journey because we believe makeup means something different for every single person — applying makeup is a conscious, intimate decision we make almost every single day, and there’s usually a method behind the madness. 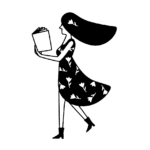 Join us every week as we spill the beans on beauty products, and feel free to submit your own Beauty File. E-mail us at pitches@hellogiggles.com! Makeup and I have been down a long, winding road together. As a grade school youth, I was enamored by it. My fiercely stylish grandmother taught me to respect the power of pink nail polish and the versatility of the bobby pin. I used up tubes of banana scented roll-on face glitter at alarmingly fast rates, and had YouTube existed in the ’90s, my Toys R Us makeup hauls would have granted me influencer status. Despite my early, genuine joy for cosmetics as a child, I claimed to be “above makeup” as soon as I was a preteen. I felt that way for a few years. Of course, that judgmental, holier-than-thou attitude stemmed from insecurity, and was actually just me trying to inhabit the “cool girl” stereotype at a grossly young age (ooh look at me I’m so low maintenance ooh I’m like one of the guys ooh I’m not like other girls ooh #PATRIARCHY). Thankfully, in high school, I realized that was an utterly ridiculous and deeply flawed way to think about femininity, and remembered the power inherent in expressing your femininity however you choose to do it. That brings us to present day. I absolutely love makeup. I wear it when I want to, and I am so inspired by the work of makeup artists. I am fascinated by makeup tutorials, but I never attempt the looks. I’m a little intimidated by more luxe or ~advanced~ cosmetics — like, I made my first Sephora purchases two months ago. I also didn’t have a true makeup routine until very recently. I wore lipstick, mascara, and concealer on days when I felt like it, but I wasn’t intentional about anything unless I was going out that night. Now I have a daily routine, and the fact that my wonderful job grants me access to beauty products I probably wouldn’t buy on my own definitely plays a part. But to get slightly #deep, I think my evolving relationship with makeup is related to a shift in how I see myself. For the past few years, I was very overwhelmed by things that were happening in my life. Waking up early to spend a little more time on myself felt like an unattainable activity, and an organized routine that solely existed for myself wasn’t a priority. But I’ve grown up and accomplished goals I’d set for myself, and that’s helped me recognize my right to have self-care rituals. 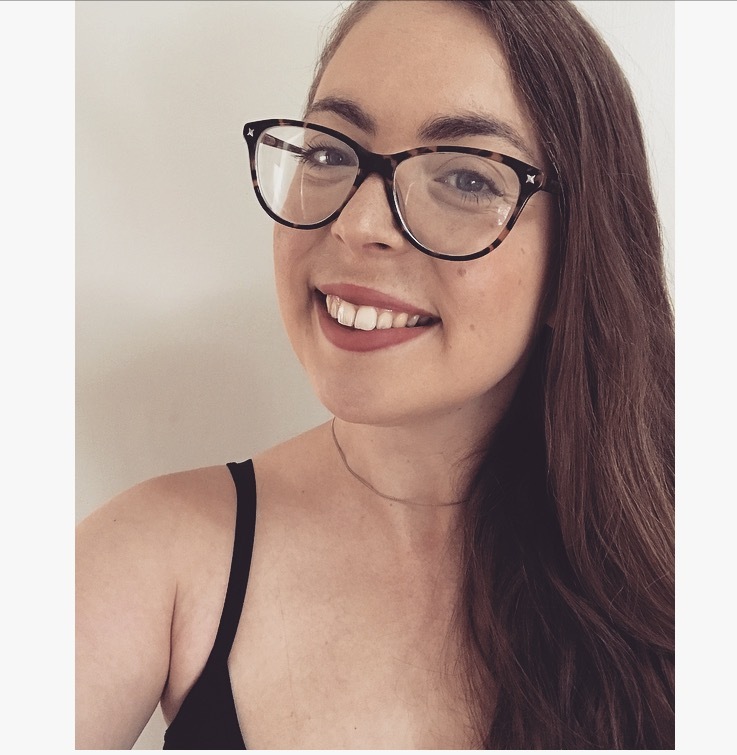 I am exploring how makeup is self-care for me. Lastly, as a vegetarian, it is very important for me that I only use cruelty-free products. However, I’ve made some missteps due to conflicting internet information and my own unawareness, so that is definitely something I want to improve ASAP. This is what I usually look like when I’m wearing makeup, mixed with some of that sweet Aden filter action. After getting woken up by the three to five alarms I set at 15 minute intervals, I stay in bed for a few minutes too long and contemplate what could have inspired me to skim through Ashanti’s discography on Wikipedia at 1 a.m. Beauty sleep is probably the most important part of any beauty routine (ALSO GOOD FOR YOUR PHYSICAL AND MENTAL HEALTH), but the sleep schedule of an adult with a full-time job is something I’ve not quite mastered yet. I tap into my inner strength and will myself to the bathroom, where I begin the first step of my new and improved morning makeup routine. I wash my face with Fresh Soy Face Cleanser ($15), which is one of the two items I grabbed during my first Sephora shopping excursion, and it has proven itself to be a most sensible purchase: I only need to use a little bit at a time, so the tube should last a while — something that this #beautyonabudget def appreciates. I have very sensitive skin, and the ingredients clean my face gently — no irritation. But, most importantly, it contains rosewater, which smells like how I’m guessing clean eating feels. 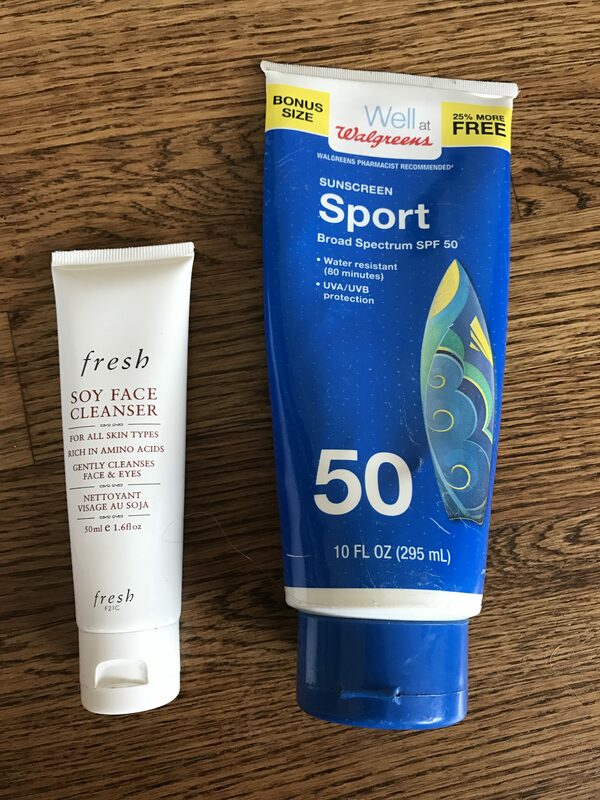 I rub a generous portion of Walgreens Sport SPF 50 ($8.79) all over my face — not because I participate in water sports, but because I burn dangerously easily and I was in a Walgreens when I remembered I ran out of sunscreen (also let’s give it up for BOGO deals, ’cause this girl got one). Real talk tho, I am super pale, I live in Los Angeles, I walk everywhere, and I take a medication that makes me even more susceptible to the sun’s cruelty, so this is a vital part of my morning. As a Russian Jewess, my brows are naturally thick and dark (which I like), so rather than pencilling or gel-ing, I prefer to just tame them with some trimming and tweezing. Next, I apply just a little bit of The POREfessional Face Primer from Benefit Cosmetics ($12) on my face. This is a product I was lucky enough to get for free here at HG a couple weeks ago, and I had never used primer before that. TBH, I’m not totally sure if I’m using it effectively, but having an extra step in my makeup routine makes me feel sophisticated and I am fond of the packaging, so this is how I do things now. Instead of foundation, I use a pump of IT Cosmetics Your Skin But Better CC Cream ($38), which was the second thing I bought with a gift card on baby’s first Sephora trip. I definitely plan on buying this again whenever my tube runs out, which I don’t think will be for a while since a little goes a long way (#beautyonabudget). I really, really love this stuff. It evens out my sometimes pink, blotchy skin tone better than any foundation I’ve ever used, and it makes me look like I slept for eight hours — which in turn actually makes me feel a little more well-rested??? It’s light enough that it doesn’t hide my freckles or moles, either, and I like my freckles and moles. 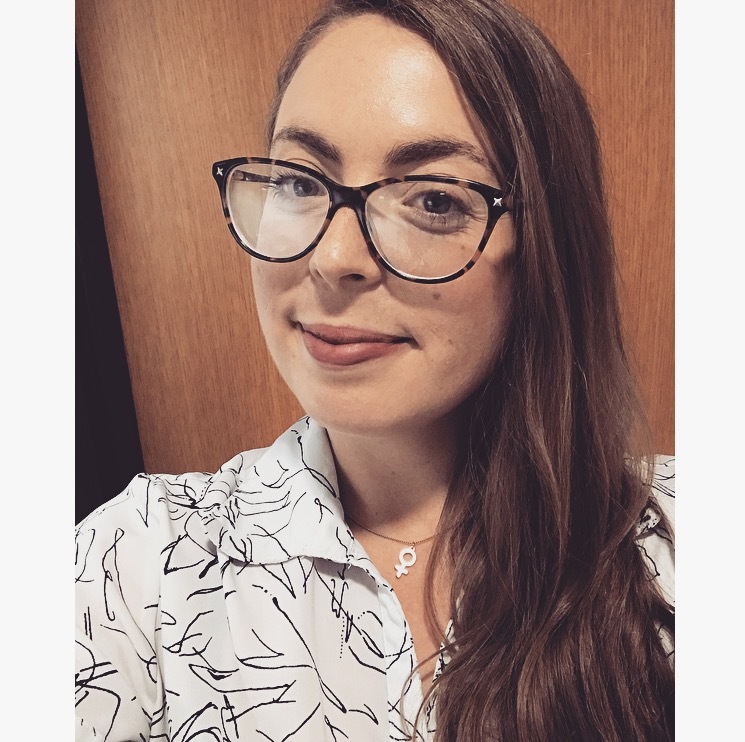 Also, shout out to the fact that it has SPF 50, which, for me, justifies spending a bit more on makeup than I am used to (must I reiterate that the sun and I do not play). I have dark circles under my eyes in the morning, so I use Rimmel Match Perfection Concealer & Highlighter ($4.99) to brighten and conceal them. Instead of blush, I use Wet n Wild Ultimate Minerals Bronzer in Amber Glow. This has been a staple in my routine since my early college days, but tragically, it was recently discontinued. 🙁 I still have a lot left, and, last I checked, it has quite the eBay presence, so I think I’ll be okay. As I mentioned earlier, my face can already get pink and blotchy, so I don’t like throwing pink blush into the mix. This bronzer brings some natural-looking warmth and color to my face, which I value as one who hides from UV rays. As a fan of ~retro aesthetics~, I love liquid eyeliner and a flawless winged tip is my impossible dream, but whether or not I apply any in the morning completely depends on my energy level. I’m skipping it this morning (as I do most mornings, let’s be real lolol), but the liner I use is Wet n Wild MegaLiner ($2.99). 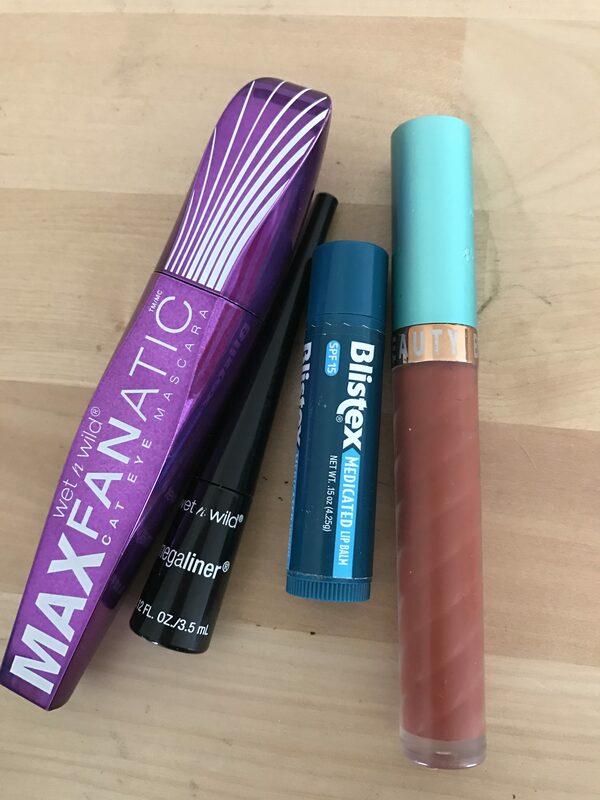 For mascara, I use Wet n Wild Max Fanatic Cat Eye Mascara ($4.99), which makes my lashes look really long while also giving them a slight lift. I randomly grabbed their Cat Eye Mascara at the drug store a couple months ago, but I’m super into it. (Also, you may have noticed there is a lot of Wet n Wild in my beauty arsenal — it’s affordable, cruelty-free, and largely paraben-free haaaayy.) That is all I do for eye makeup — I’ve never been much of an eyeshadow person, but I’m down to experiment on a morning that is not this morning. I own a lot of different shades of lipstick — I own more lipstick than I do any other kind of makeup, actually — and I think bold lipstick is just generally badass. At work, I’ve been wearing the same liquid lipstick by Beauty Bakerie regularly (another product that I was lucky enough to get for free at HG). After applying some Blistex — since liquid lipstick can be drying and I also can’t deal with chapped lips — I put on Beauty Bakerie Lip Whip in Gingersnap ($20). The color is a nice, deep red, it’s a vegan formula, and it’s really easy to evenly apply (speaking of which, I definitely want to experiment with more liquid lipsticks). I brush my hair and consider a top knot before deciding to just leave it down and let it do it’s thing. Finished, and not even running that late! This is what I look like when I get to work, mixed with some of that sweet fluorescent light action. I was really busy writing, editing, emailing, and assigning stories all day, so I only “touched up” with some more Blistex. 😉 I’m about to meet up with some friends for dinner, so I redo my lipstick (same shade) and check to see if any of my mascara is running (it is). Now that I’m home, I use the same Fresh Soy Face Cleanser from this morning to take off all my makeup in the shower. Next, I wash my face with a fresh smelling apricot scrub I got at Target ($2.74) so I can exfoliate. I get small breakouts, so I wash my face every night with Neutrogena Oil-Free Acne Wash ($4.79) and that usually keeps my skin under control. The last part of my routine is new, and makes me feel like a capable gal in control of her life: moisturizer. 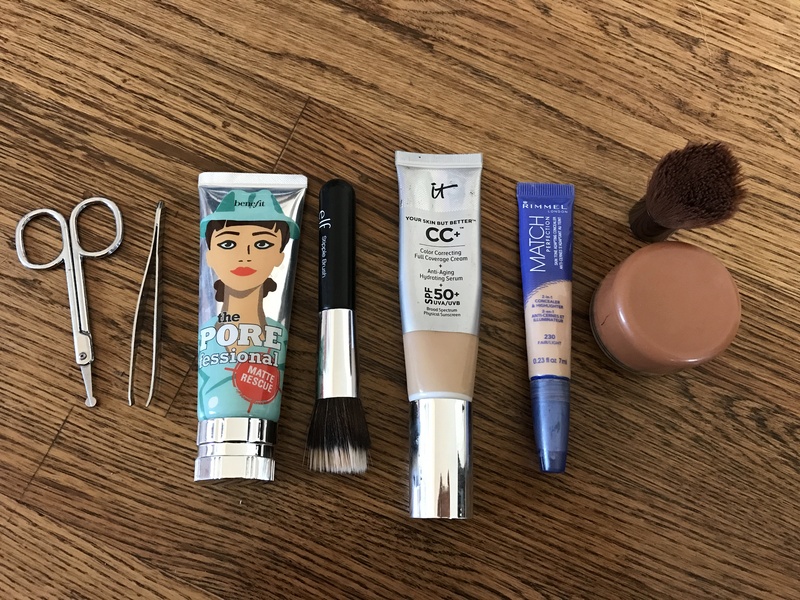 I started using IT Cosmetics Confidence In A Cream Moisturizer ($48) when our amazing Associate Beauty Editor let me have an extra tub that was sent her way. I normally wouldn’t spend $48 dollars on skincare, and probably wouldn’t have tried this had I not been in a position to get it for free. However, now that I am using it nightly, I am a big fan of the product. 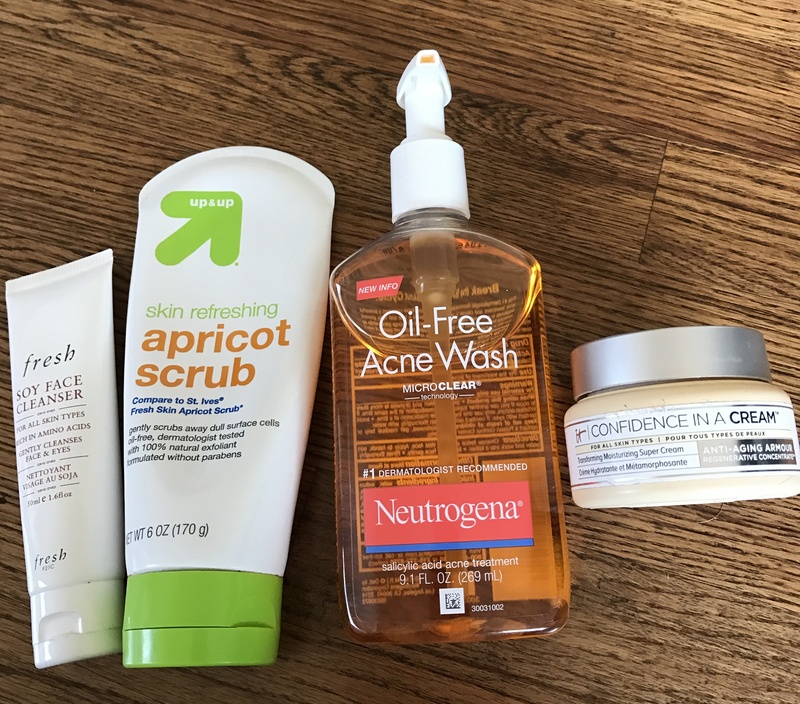 I didn’t realize how dry my skin was, especially considering I use acne wash every day. Now my skin actually feels soft and ~refreshed~ on the daily. Plus, I’m being super sincere, but taking time out every night to do something as intimate and simple as applying moisturizer is actually really meditative and calming. After a long day, it’s nice to do something just because it makes you feel good. Sooo ready to pass out. Here’s hoping I don’t disrupt my REM cycle with another deep dive into an ’00s diva’s song catalog!